Vietnam is interested in expanding its defense ties with the US, but Hanoi is not in a hurry to buy American weaponry, despite Washington having lifted the embargo on the sale of lethal weapons to the country in 2016. Defense News recently reported that the US is trying to persuade Vietnam to purchase its weapons instead of Russian ones. Vietnam is currently one of the largest buyers of Russian weapons in the world. In recent years, contracts worth more than $4.5 billion have been signed. But as of recently, Vietnam has shown an interest in the weaponry of other exporting countries. Its list of its partners also includes Israel and India, as Hanoi aims to diversify its arms purchases. Will Vietnam move away from Russian weapons imports and switch to importing them from the US, as Washington hopes?— Sputnik discussed this with Vietnamese military expert and Major-General LE Van Cuong. Major-General LE Van Cuong also explained that the Vietnamese armed forces have 70 years of experience using Soviet and Russian weapons, and that's the main point, noting that the Vietnamese have an expression "No theory will replace practice." LE Van Cuong noted that Russian weapons have been successfully adjusted for Vietnam. Today, in the current state of international affairs, Vietnam pursues a policy of diversifying purchases of military equipment. Major-General LE Van Cuong believes that, considering the potential enemy and the country's specific defense requirements, it's “likely to buy some early warning marine defense systems from the US, but in limited quantities. Vietnam cannot spend hundreds of billions of dollars on these weapons. The general structure of weapons is becoming more complex, their diversity increases, but Russian weapons remain a component. I can even predict the share of US weapons — 10%, with 85-90% — Russian. There's one tactical nuance in the process of diversification of arms purchases. 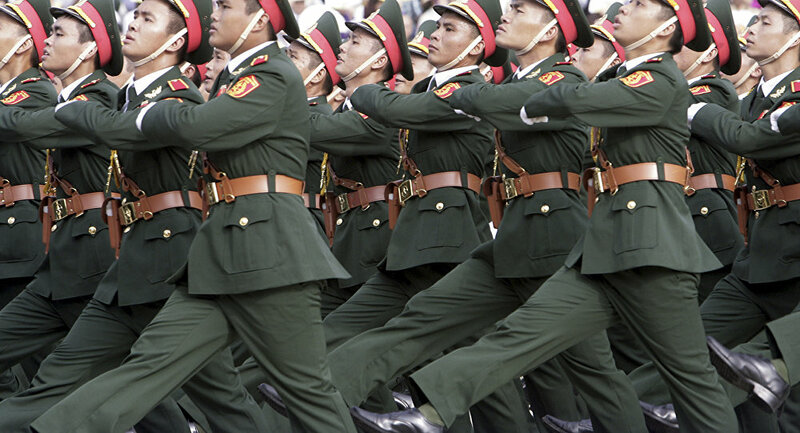 Many of the Chinese army's weapons have been bought from the Soviet Union and Russia, and it's inconvenient for both countries to use the same arms, that's why Vietnam needs to diversify its supplies,” said LE Van Cuong. Another key aspect is financial, it's impossible to replace the whole weapons system with another system, and to train again those in charge of the weapons. Many American technologies are still too complex and expensive for Vietnam, LE Van Cuong told Sputnik. “Russian weapons have demonstrated their reliability. Russia and Vietnam have a traditional relationship based on trust, tested by years of war and peace, which has now grown into a comprehensive strategic partnership. If now we completely switch to American weapons, where's the guarantee that the United States will not make us completely dependent on them? Looking into the future, we must not forget the lessons of history,” LE Van Cuong concluded. The views expressed in this article by Major-General LE Van Cuong are solely those of the speaker and do not necessarily reflect the position of Sputnik.